Use Moving Service’s reliable removal services in Paddington, W2 if you can’t stand handling your move on your own. Our prime aim is to make sure your move is as smooth and as easy and as stress-free as it possibly can be. If you need professional help and expertise, we want you to know that you can completely rely on us. Our movers in W1 area are all skilled and experienced professionals. You are bound to be impressed with them and their work. They are unlike most experts you will find. They always arrive on time and don’t leave you waiting for them, and they get on with the task at hand as soon as they can without any hesitation at all. You will certainly find them quite unbelievable for they really are good. They are what you would definitely call professionals. There are numerous advantages of hiring us for removals so don’t make the mistake of not hiring us. When you use us for removals, you will save time, energy, money and you will have a team of experts working for you that won’t let you down in any way. If you want to have an easy move and you can’t wait much longer, make it a priority to call 020 8746 4402 now and you will love working with our team of professionals! And you will get a free quote! The area is within the City of Westminster which is located in Central London. It is a district in London and it mostly well known for being home to Paddington station. When people think of this area, they tend to think of the train station. In the station itself, there are some wonderful statues of its designer as well as a statue of Paddington Bear. These are definitely worth seeing if you are in the area. Of course, it does tend to have great transport links and you will see that for yourself when you live here. You can get to most places within the area and outside it thanks to the great transport links here in this district of Central London. There are also lots of shops, bars, restaurants and businesses here. It is a great and lively place to see if you come and you won’t be bored for sure. 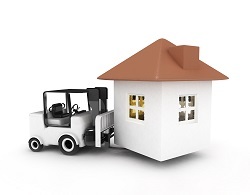 Moving Service offers outstanding removal services at unbelievable prices. So if you have been searching to find removals in Paddington, W2 at fair prices, we highly recommend that you give us a chance and let us show you we are indeed the best company around W1 area for excellent services. Our services include commercial removals across NW1, domestic removals, packing, unpacking, storage services, removal van hire and much more. All you need to do is get in touch with us on 020 8746 4402 and we can be there for you as soon as you like to help you with your move. Whatever you need, we work hard to provide you with the best possible results. You are bound to be impressed with our services, so give us a chance to show you we are one of the leading moving companies in the area offering great value for money. We provide the best for our customers and so if you need our help, don’t be afraid of getting in contact with us whenever you can and you can speak to our friendly customer service that is helpful and friendly. 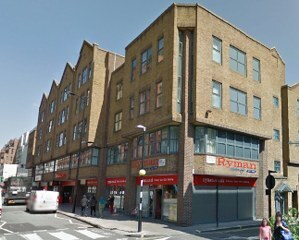 Moving Services leads the pack when it comes to moving companies in Paddington W2. Always on time, nothing is ever wrecked, and the move is smooth.